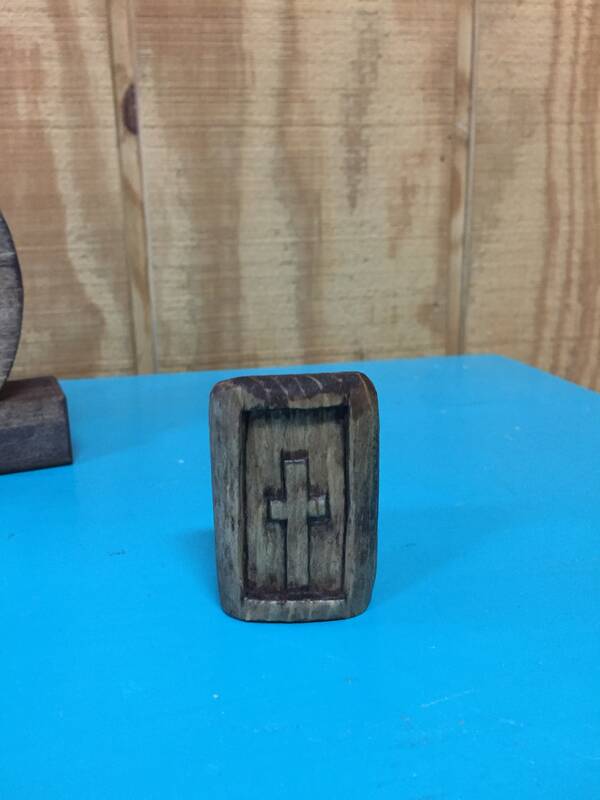 A small simple cross hand carved out of a small piece of wood by Stan Altman. 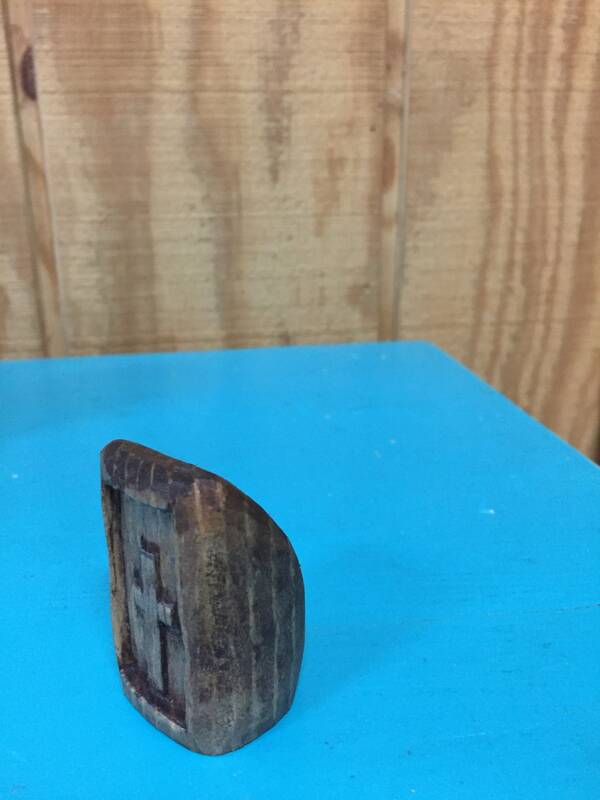 A unique little carving to place on a desk or shelf. A comforting reminder of Jesus. It is amazing what can be done with a small left over piece of wood, which makes it a unique one of a kind. This cross has been stained a dark stain. Approximately Size 2 inches tall.